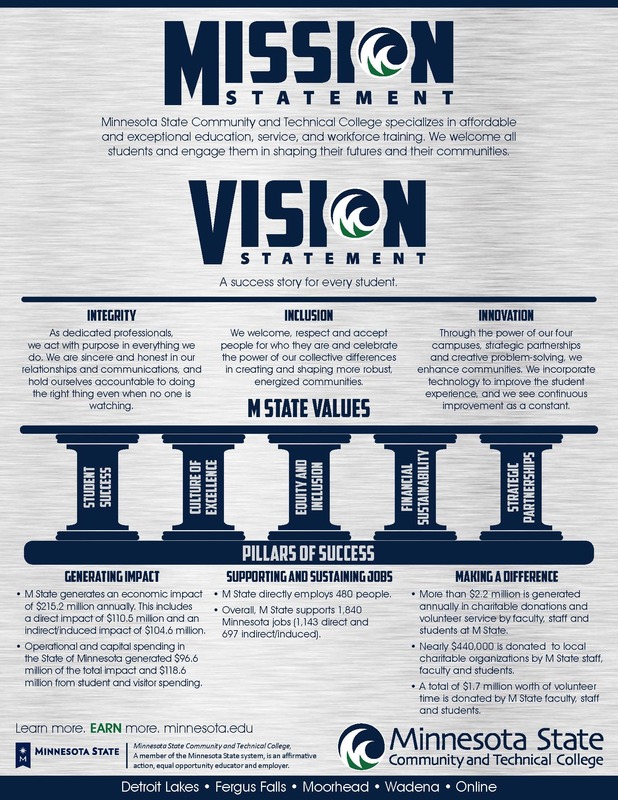 Minnesota State Community and Technical College (M State) is a regional, student-focused institution, poised for a strong future. 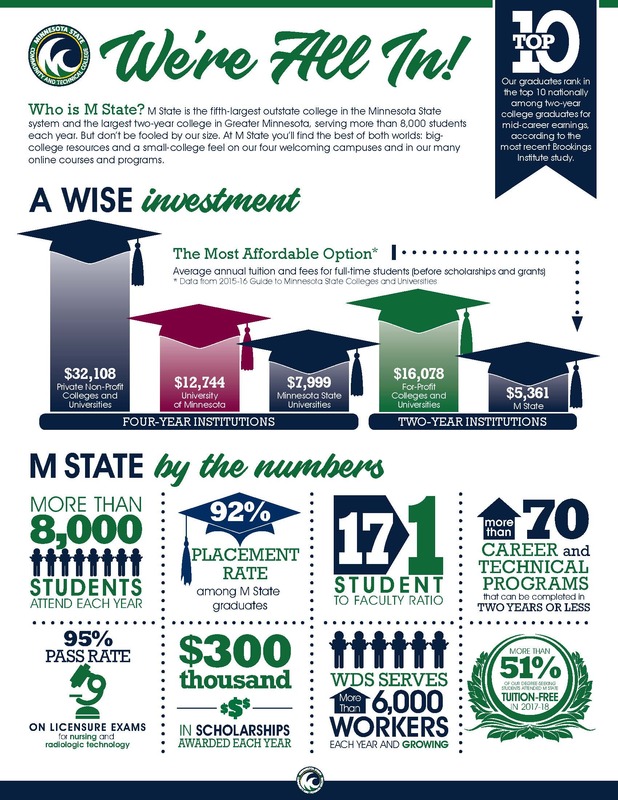 M State is the fifth-largest outstate college in the Minnesota State system and the largest two-year college in the Greater Minnesota, serving more than 8,000 students each year. But don’t be fooled by our size. At M State you’ll find the best of both worlds: big-college resources and a small college feel on our four welcoming campuses and in our many online courses and programs. Our vision is to be a success story for every student. We lead with our values of integrity, inclusion, and innovation and we strive to be ‘All IN’ as we teach and serve our diverse student body.